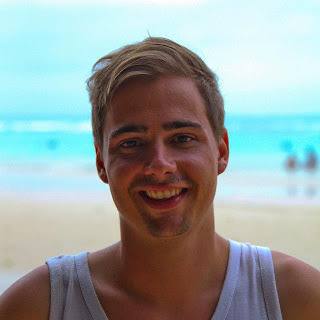 My Name is Johannes Rofner, I am from Austria and I study Tourism Business Studies at the MCI – Management Center Innsbruck in Innsbruck, Tyrol. 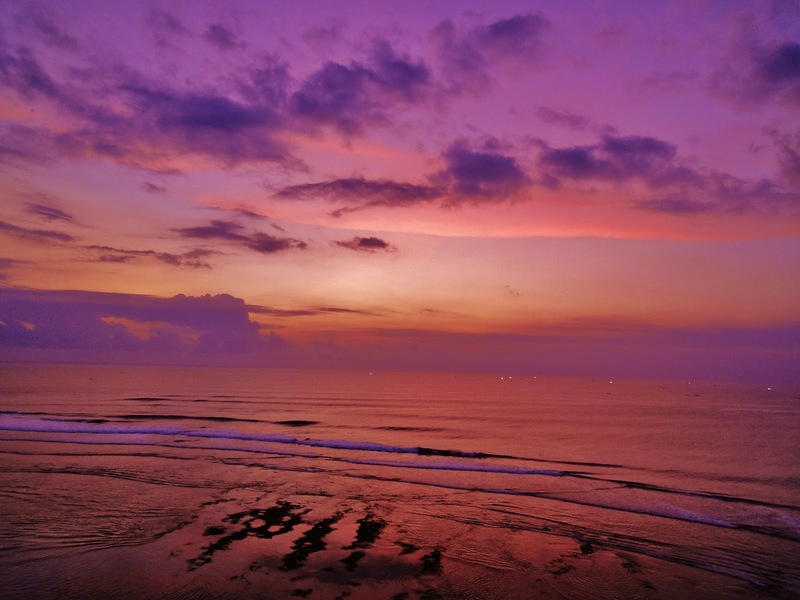 What made you decide to come to Bali to do your exchange period? I wanted to experience a different culture and a different way to live, something different to the western world. Another big reason for me to come here was that Bali has some of thebest surf spots in the world, and I have always wanted to learn this great sport. Back home I go snowboarding as often as possible and it is a big part of my life but I wanted to try something new and now surfing is probably the greatest sport that I have ever tried. How is it different to study here than back home? The difference isn't actually as bigas i thought it would be. The only real difference is that we have a dress code at University. We need to cover our knees and shoulders just like the local students and it can get pretty hot sometimes. Otherwise the quality of the studies is really good. The lectures are good and also the lecturers are very passionate about their subject and they try their best to help us students as much as possible. What’s your favourite subject? Why? I would say that probably the language courses are my favourites because they make the everyday life in Bali so much easier. Being able to communicate even a little in bahasa Indonesia is much appreciated here. What are your favourite things in Bali? There are so many things that i like about Bali. I don't even know where to begin. But one of the best things is definitely that I get to know so many nice new people here from all over the world. 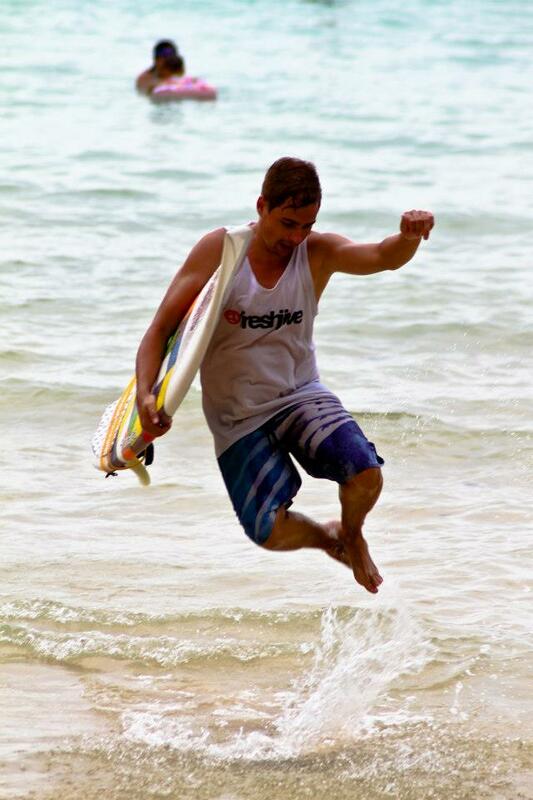 My absolute favourite thing to do here is definitely surfing. I try to do it at least once a day. What places would you recommend to visit? I think there is not really just one place you have to visit. The whole island is worth to see. 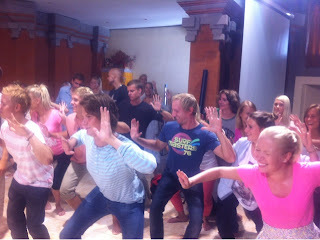 Ubud is known as the culture capital of Bali and is very popular yoga destination. Gili islands are a quick get away from busy Bali just an hour boat trip to these paradise islands where there is no cars or motorbikes! But if I have to recommend a place i would say: go to Uluwatu, southern tip of Bali and watch the sunset at SingleFin restaurant! Or watch it while you are sitting on your surfboard somewhere in the 28degree water. What would you say to those people who are thinking of doing their exchange in Bali? What are you hesitating? Do it! I’ve been here for 2 months now and it has been pretty much the best time of my life, and the best thing is that it's not over yet. I’ve gotten to know so many amazing people, fell in love with a sport and just enjoyed every second I’ve beenin this wonderful country. 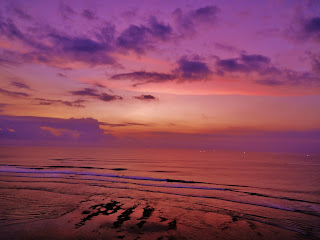 In fact I could not imagine that there is a better place to do your abroad year than in Bali.